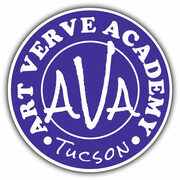 Christy is an instructor at the Art Verve Academy. 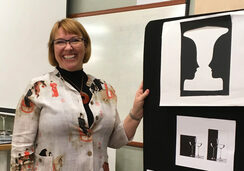 She teaches weekly adult art classes in drawing & painting locally in Tucson, Arizona and teaches instructor led workshops that travel abroad. "The real gratification in teaching is not repeating the same information over & over but through the discovery of something new after viewing the same information through the eyes of someone who has a fresh perspective or a questioning mind, it inspires me and gives me an enthusiastic approach to life long learning." The following testimonials are from students who have taken an adult art class with Christy. "Thank you for 'Portraits in Pastel' course. It is very helpful to have you participate actively in the class & share the steps you take in your drawings. Looking forward to taking another course!" "Want to thank you for a great class yesterday, Christy. You have a set of skills that allow students to actively participate as both individuals & as a group, you you maintain the leadership role. Not an easy thing to do. " "She is such a delight & a very authentic teacher. She has practical advice for the recreational to the professional artist." "Christy's energy combined with her honesty and experience with her willingness & drive to share with students is magnetic." "I can't even begin to tell you how much I learned and how motivated I am to continue. What better testament is that?" "Enjoyed the upbeat & postive-ness in her class!" 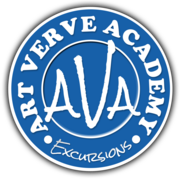 For more information, visit Art Verve Excursions.